I've got some good news and some bad news about Venture Bros. season 6! The good news is that it will be back in January of 2015, the bad news is that we have to wait until 2015 to see it. Series creators Doc Hammer and Jackson Public showed up and did a hell of a funny question and answer session. They also revealed that maybe there will be an hour long special episode in the fall of 2014 to tide us all over. At one point they were asked by an audience member if they had learned anything from the issue that delayed season 5 and if there was anything they could do to speed up the process for season 6. Hammer jokingly replied, “We learned you’re ungrateful!” The creators then promised that they are working insanely hard on the new season all of the time. 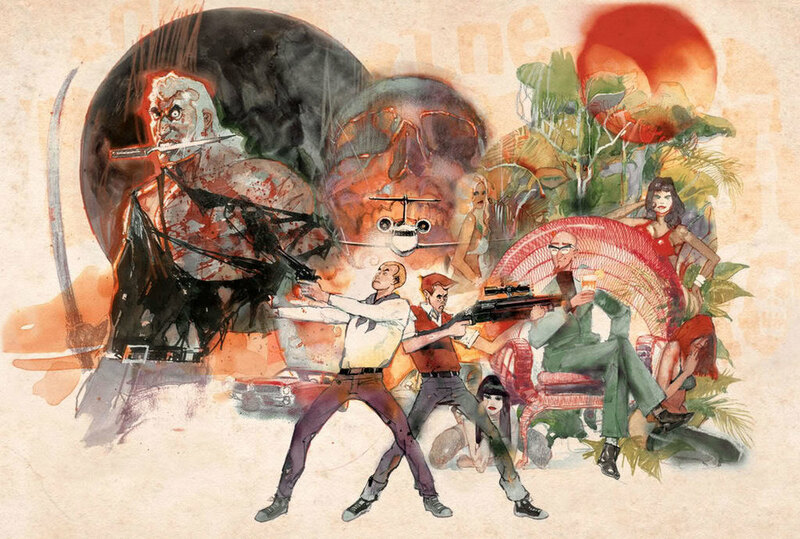 Venture Bros. season 5 was fantastic, and I can't wait to see what they bring us in season 6! VENTURE BROS. Season 7 is Coming This Summer! THE VENTURE BROS. Season 6 Premiere Date Announced!